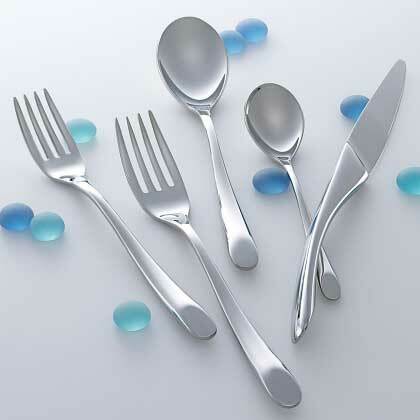 Sophistication and grace define the Harlan flatware collection from Steelite. Featuring distinctive standing knives and clean contemporary lines, Harlan is an excellent choice for operators looking to add allure to their tabletop. The extensive collection features long-lasting 18/10 stainless steel and a beautiful polished mirror finish.